Florida’s original online database for shorebird and seabird data was launched in 2005. This database, the Florida Beach-nesting Birds Website, was designed to provide real-time information to managers and permit reviewers to help them respond to situations affecting nesting shorebirds and seabirds. As use of the database expanded, its potential as a research tool soon became evident. 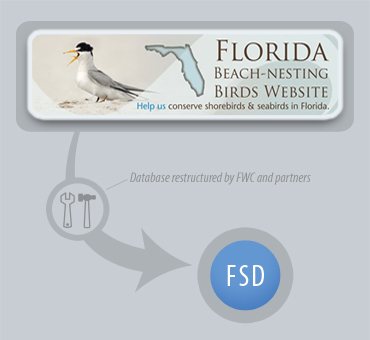 In 2010, FWC collaborated with multiple partners to create the Florida Shorebird Database (FSD). This restructured database, with its standardized monitoring protocol serves as the tool to provide important information on the status of shorebirds and seabirds in Florida. Its success depends on our network of monitoring partners which continues to grow each year. Long-term monitoring of shorebirds and seabirds across Florida is impracticable for any one agency or organization, and requires an extensive network of groups and individuals. 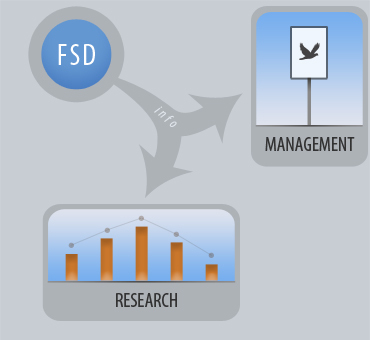 The FSD facilitates this collaborative approach by providing a central location for data entry, compilation, and storage. 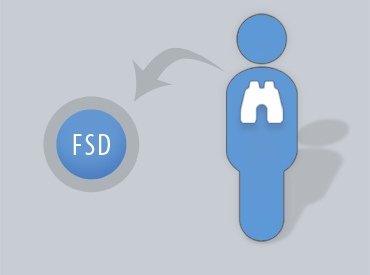 However, the FSD is only as comprehensive as the network contributing to it. In an effort to coordinate and expand our coverage of shorebirds and seabirds in Florida, the Florida Shorebird Alliance (FSA) was created. The FSA is organized into regional partnerships that work locally to ensure important shorebird and seabird sites are surveyed and monitored. The FSD is managed by the Florida Fish and Wildlife Conservation Commission (FWC), and is maintained as a free online resource for information on Florida's shorebirds and seabirds. We welcome anyone interested in monitoring shorebirds and seabirds to contribute data to the FSD. Getting involved is quick and easy - follow our set of instructions to get started, go here. Check out the FSA partnership map to see if a regional shorebird partnership exists in your area. If one does, please coordinate your efforts with this group using the email listed in the contact section on the individual partnership pages. If you cannot find a partnership in your area, and are interested in learning how to get one started, please contact FWC's shorebird partnership coordinator. Data from the FSD are used in many ways. At the local and regional level, partners regularly rely on the data to plan and assess management activities for particular shorebird and seabird sites in their area. In addition, different agencies use the data to review permits for proposed projects near important shorebird and seabird sites. At the statewide level, biologists plan to use these data to determine distribution, status, and trends for various species of shorebird and seabird in Florida. They will inform important conservation planning efforts such as setting conservation priorities, identifying critical habitat, and assessing species for state listing. Recently, the database played a pivotal role in determining priorities and preparations for the Deepwater Horizon Oil Spill.